Thanks to everyone that stopped by our booth at the UP Builder’s Show last weekend. 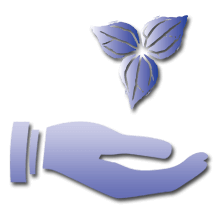 We made many new friends and shared the Trillium House mission with people from across the Upper Peninsula. 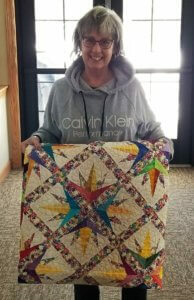 Our raffle raised an amazing $1100.00 and Karen Stabile won the beautiful quilt made and donated by Chris Wiik of Marquette. The winner of the $250.00 prize graciously donated it back to Trillium House. Again thanks to everyone that stopped by to see us, purchase a raffle ticket or just say hello. Also thanks to the UP Builders Show for donating the booth space to us. It was a fun weekend.